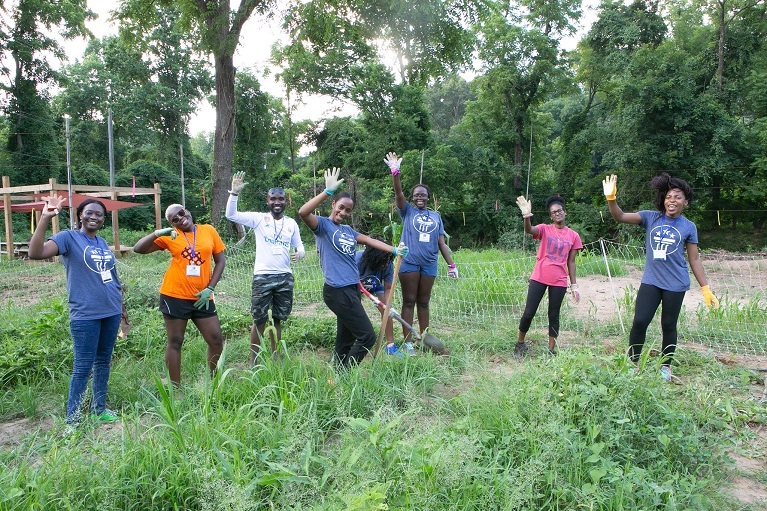 2018 Mandela Washington Fellows participate in community service. In recognition of Mandela Day on July 18, Mandela Washington Fellows from across Sub-Saharan Africa will honor Nelson Mandela's legacy through community service across the United States. For Fellows, the Mandela Washington Fellowship for Young African Leaders is a continuation of Nelson Mandela's legacy of peace and service through leadership. The flagship program of the Young African Leaders Initiative (YALI), this U.S. Department of State–sponsored Fellowship empowers young African leaders through academic coursework, leadership training, and networking opportunities. For the past several years, Fellows have volunteered as mentors for MOVE Beyond the Bench at Wagner College in New York. The program is designed to help enhance student learning through academic, cultural, and civic development. This is one of the many organizations Fellows will volunteer at on Mandela Day. Following the Academic and Leadership Institutes, the 2018 Fellows will convene in Washington, DC, from July 30 to August 1, for the Mandela Washington Fellowship Summit: Living Mandela's Legacy. Follow along on social media for updates about the Fellowship and more information about how the Fellows are honoring Mandela's legacy through leadership and service. The Mandela Washington Fellowship is sponsored by the U.S. Department of State with funding provided by the U.S. Government and administered by IREX. For more information about the Mandela Washington Fellowship, visit yali.state.gov/mwf and join the conversation at #YALI2018 and #MyMandelaLegacy.